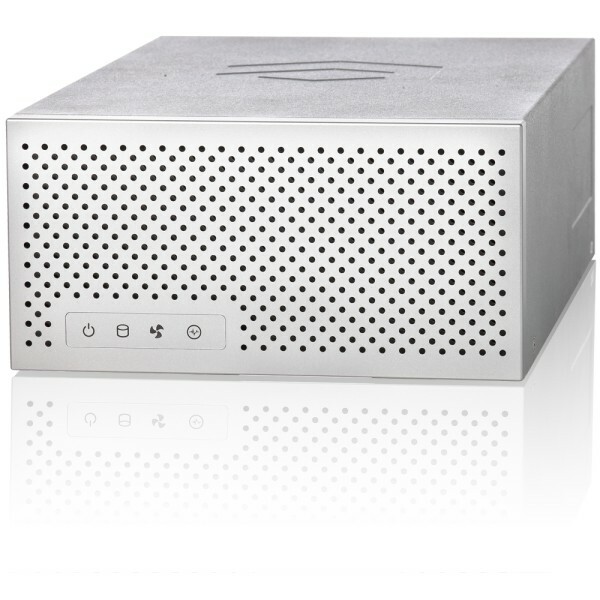 Delivers up to 20Gb per client & 40Gb combined storage bandwidth. The ExaSAN Compact Solution Switch (SW04/08) is an innovative member of the ExaSAN storage solution family. An increase in editing workstations brings an increase in accessible storage capacity. The ExaSAN Compact Solution Switch satisfies all your requirements for complete 2 to 8 workstation SAN Switch solutions that provides full scalability options and shared workflow speeds all in a small size. The unique small footprint design of the The ExaSAN Compact Solution SW04/08 Switch is greaten convenience and suitability for 4 to 8 editing workstations in a team with 3 to 4 ExaSAN storage devices, via the ExaSAN SW04/08 Switch, to achieve full same storage volume sharing and maximize collaborative workflow performance. With the ExaSAN SW04/08, we provide two high-speed PCI Express solution interfaces, 1.1(SW04/08-G2) and 2.0(SW08-Q4), which can provide 30Gb and 40Gb bandwidths respectively with each interface providing different expandable high-performance storage options. The versatile size of this ExaSAN Compact Solution offers not only it's efficiency for its broadcasting or post production teams whileits bandwidth performance exceeds it's FC solutions competitors. It allows every workstation on a project to collaborate and share media files in real-time, improving workflows with cost and efficiency . The ExaSAN Compact Solution with its external PCI Express Switch provides higher data transfer speeds compared to larger and more complex Fiber channel. The ExaSAN Compact solution is designed to be not only the most affordable, but also an approachable SAN solution. For the user who seeks to upgrade from DAS to SAN, the ExaSAN Compact Solution is definitely the best choice. The ExaSAN Compact Solution is everything you need for surprisingly fast and easy installation without a lot of system components. Simply position and insert the HBA card connector, which came in the SW04/08 package kit, into the bus slot of your computer and press gently but firnly until it is securely seated. 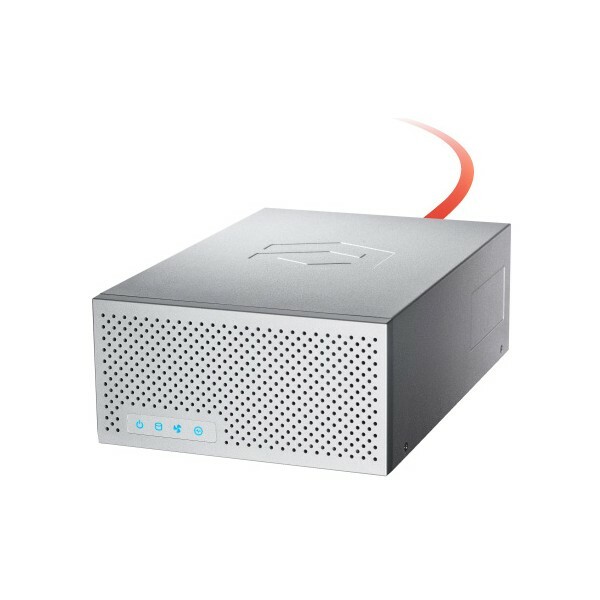 Then connect your storage unit, such as our high-speed ExaSAN A08S-PS, to the ExaSAN Switch with an External PCIe x4 cable. Your hardware installation is now finished! In many FC SAN installations, each component is from a different manufacturer and installation, integration, and operations difficulties may occur. The ExaSAN Compact Solution is everything you need from one vendor – Accusys, which includes an SW04/08 Switch, HBAs, cables, and high performance Rackmount or Tower PCI Express storage system. All that is needed is desktop SAN software at client workstations. Instantly begin work sessions with the easy setup ExaSAN Compact Solution. Different ExaSAN storage systems can provide different capacities, bandwidths and levels of performance and you can determine the storage system that is most suitable for your workflow requirements by clicking each storage image to view full details. To upgrad to be a SAN environment, all the ExaSAN member are ready for you, your ExaSAN family member are all compatible with the non-MAC workstations such as Windows, Linux and Unix platforms. With SAN management software from MetaSAN and StorNext, user can use workstations with different platforms to access ExaRAID HD media content simultaneously, realizing a viable cross-platform SAN framwork. ExaSAN affords users the most flexible workflows and it meets the requirements of multiple applications. 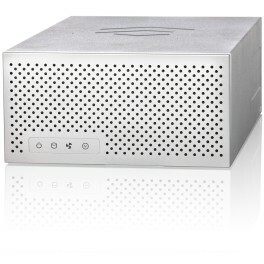 It is now built into the OS X Lion server operating system, This reduces the overall costs of building a SAN system. In the past, the cost of SAN prevented DAS users from using and enjoying the convenience of SAN. That is no longer an issue and the Accusys ExaSAN Compact Solution plays a key role providing a complete SAN hardware system and locking in 4 to 8 workstations sharing a small post-production environment. Xsan2 in Lion successfully changes the spirit of SAN into a total solution that you can count on for ease of implementation, ease of use, while maintaining fast performance you can rely on. Working with the ExaSAN Compact Solution ? The ExaSAN Compact Solution provides flexible configurations and future expansion. Storage throughput and capacity can grow with your requirements. You can start with a DAS solution or choose a SAN storage solution to meet your growing infrastructure demands. Its not necessary to overspend for storage and with the ExaSAN Compact Solution, you can manage your storage budget precisely. 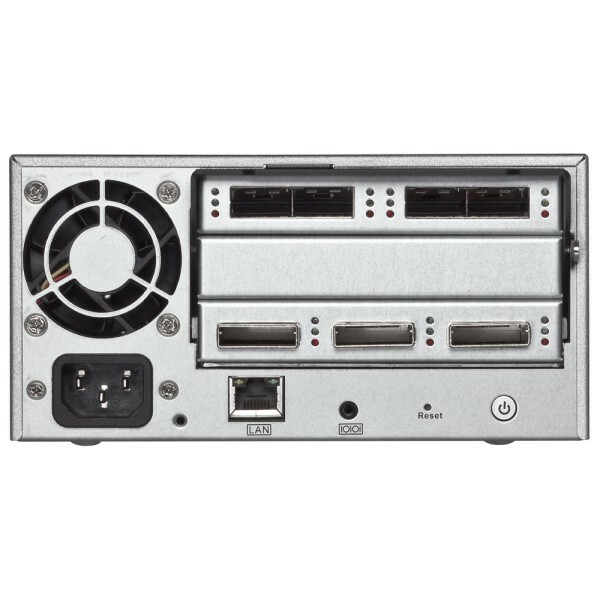 The SW04-G2 system with a single A08S-PS emphasizes portability and performance Eight hard drives provide 750MB/s throughput performance. 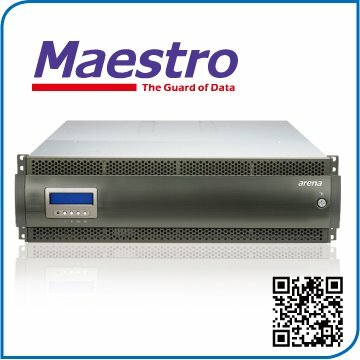 The SW08-Q4 system can be attached to 4 storage unit, each unit can further expand up to 3 JBOD, making SW08-Q4 applied for sixteen PCIe2.0 storages with704TB capacity in RAID 5. Total bandwidth is 40Gb/s based on PCIe2.0. 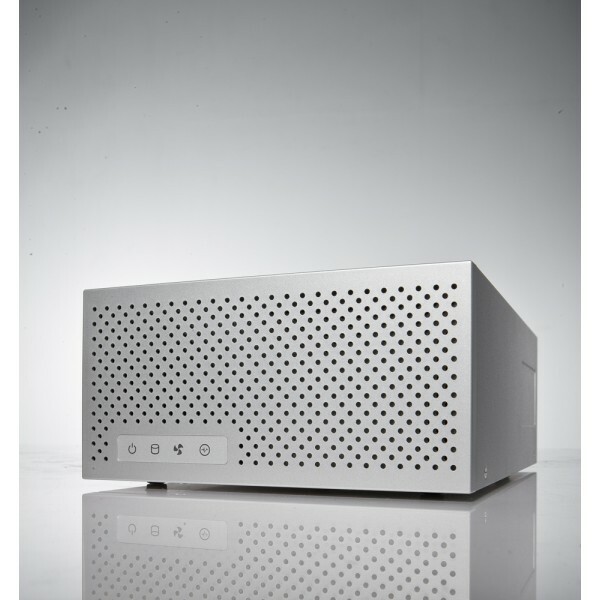 Most of small post-production, Each workstation still has its own 2 or 4 bay portable storage. In the video transfer between the various workstations must reply on these portable storage plug in and plug out process. The built in LUN Masking function allow large capacity PCIe RAID system configure multiple independent LUN volume for multiple hosts uses. For example, LUN Masking can assigned two LUN volume access authorization to two different hosts and user can switch each host access LUN permissions.This capability is well suited for editing rental suites with a single storage system. Does not require 3rd party SAN software if this is sufficient for your application. Storage systems used in film, TV, Videos, and commercials is not limited to storing footage/clips, but in every stage of editing workflow. Beginning with video shooting, ingest, rough cut, editing, audio composing, effecting, color grading, finishing and play out, every stage may have applications that run on a different OS. ExaSAN Compact Solution supports cross platform workflow including Mac, Windows, and Linux. ExaSAN Compact Solution supports many SAN software applications including Accusys own SAN software - SANit, MetaSAN, Xsan, BWFS and Fibrejet. 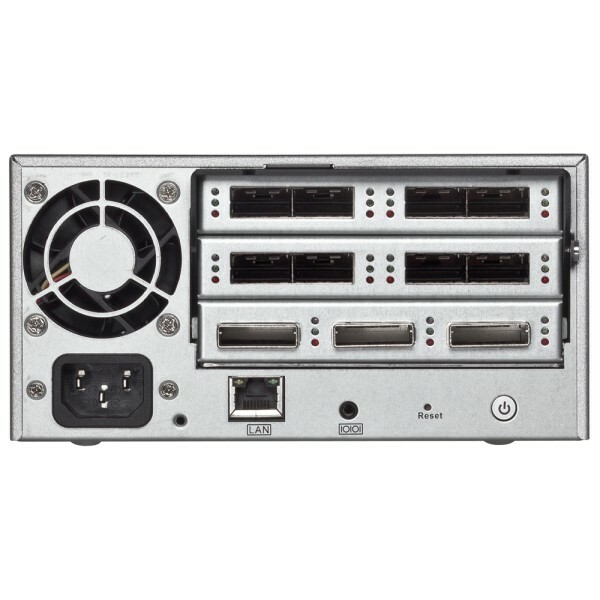 ExaSAN Compact Solution with PCIe2.0 SW08-Q4 can support up to 8 host connections with 4 20Gb A12S2-PS RAID systems. Each A12S2-PS can be expanded with 3 A12S2-SJ 6Gb JBOD systems, the maximum hard drive quantity is 192 and generate 40Gb bandwidth. Compatible with SANitt, MetaSAN, Xsan, BWFS, FibreJet,. LED indicator in each connector to show each access status. Buzzer for system abnormal condition alarm.